If you are looking for a Removal Company in Hadleigh, look no further. Move It Removals carry out removals all over Essex including Hadleigh. We are consistently voted as a top 10 UK removal company by our customers – check out our reviews, awards and certificates! We pride ourselves in providing an affordable removal service without compromising on customer service. 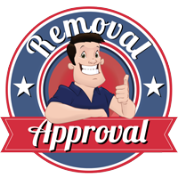 Fill out our contact form to arrange a no obligation removal quote. Call us to arrange a free quotation or fill out our form. We’ll calculate exactly how much your move will cost & give you the best value quote. We provide you with your packing materials. We carefully move your possessions to your new property.